Human effort to communicate with the outside world is still continuing. Theories about the existence of aliens in outer space, organisms or extraterrestrial life have been ambitions for decades. Many popular films include alien or UFO themes. Usually, this is accompanied by the assumption that the creature has a civilization that is much more advanced than earth. Another assumption is also circulating, with the sophistication of the technology, the aliens can travel from one galaxy to another galaxy in a short time. Since long ago, many testimonies mention the arrival of UFOs. But most cannot be proven. The existence of extraterrestrials remains a mystery. Efforts continue to be found to find it. With that goal, an agency called SETI (Search for Extraterrestrial Intelligence) was formed. The institute is equipped with state-of-the-art equipment to detect communications from other creatures in outer space. The search for extraterrestrial life continues. SETI also did its job, until finally, in 1977, Ohio University's radio telescope caught a signal that allegedly came from living things in outer space. When the telescope pointed to a star cluster known as Chi Sagitarii on August 15, an astronomer named Jerry Ehman received a powerful radio wave shot that lasted 72 seconds. He circled the wave printed sheet, encircled a strong signal with red ink, and wrote WOW! The problem is that, despite being searched for years, similar signals never come back. 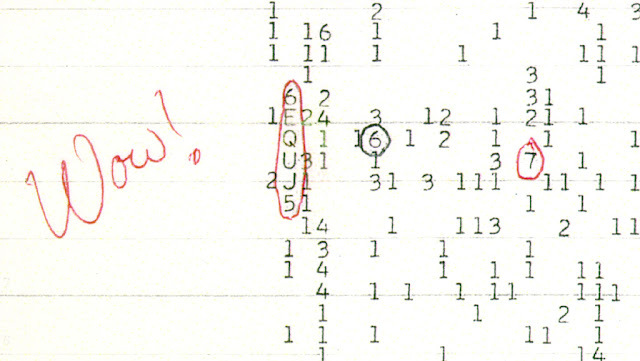 Ehman, the astronomer who discovered the signal, looked for it again for months after the Wow signal was detected. He repeated his efforts fifty times. In addition to Ehman, other astronomers are also trying to find a similar signal. In 1987 and 1989, Robert H. Gray repeated the same signal search at the Oak Ridge Observatory, but the result was nil. In July 1995, H. Paul Shuch with a telescope at the National Radio Astronomy Observatory also could not grasp the existence of the signal. In 1995, 1996, and 1999, Gray repeated his previous failed attempts, this time with better equipment. But the signal remains unobservable. Therefore, this signal becomes a mystery to this day. The experts still put forward the theory about the origin of the signal. Ehman thought the signal came from the earth but was reflected by space junk. The assumption was later denied. Brian Dunning came to another conclusion. He believes the signal was fired from Sagittarius. The theory presented in 2012 is still considered the best explanation. Until 2016, Antonio Paris and Evan Davies proposed another theory that said the signal came from a pair of comets that were at the scene of the Wow signal in the same time frame. But this theory is also considered weak. 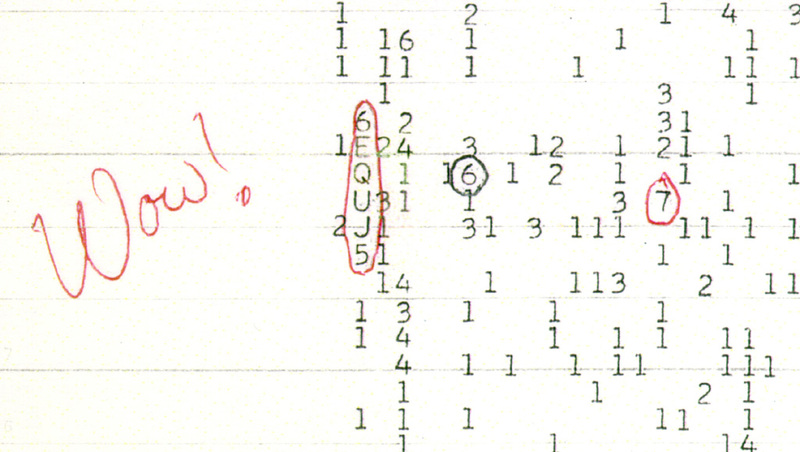 Thus, the origin of the Wow signal is still a big question for scientists. In addition, to commemorate the 35th anniversary of the Wow Signal, the Arecibo Observatory fires radio waves to the signal source location. It contained 10,000 twitter messages collected by National Geographic with hashtag #ChasingUFOs. One of the humorous messages from Stephen Colbert was quoted by Wikipedia: "I came with an important message on behalf of the entire inhabitants of the earth. Our flavors are not delicious. Actually, our flesh smells like almost rotten meat and will make your teeth crisscross. It's embarrassing to happen during a job interview. If you want something to chew, go to the Crab Nebula, and bring a breastplate. All you can eat. Seriously. "There's just one person on this one. Now the age of the puzzle that puzzles this scientist has been forty years. Even if later found aliens, you want contacts?